Looking for the Best Double Din Navigation for 2016? 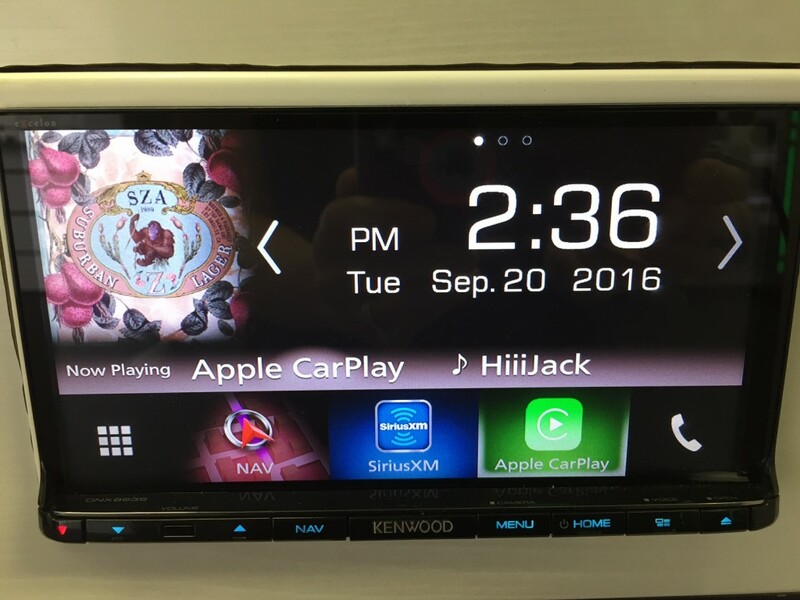 There are a lot of reasons to upgrade your factory radio to a brand name aftermarket double din navigation, but who really makes the best double din navigation for 2016? 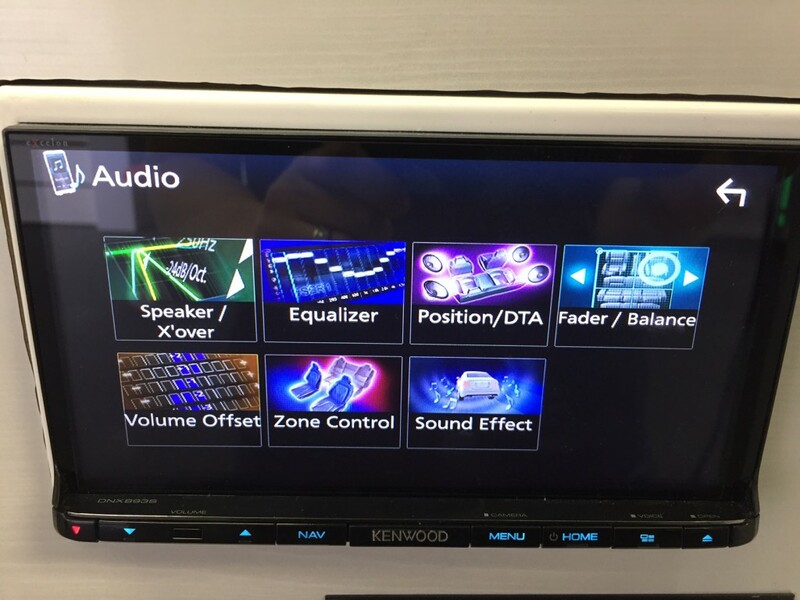 Well, as I explain to my customers in my showroom, that answer all really depends on what features are most important to you and how you plan to use your new stereo. Each brand has its own strengths and weaknesses as you will see. Get ready for an in depth review on all the Kenwood DNX893s, Alpine INE-W967HD and Pioneer AVIC-8200NEX! Attention – Please note this is first draft – revisions and additional details to come shortly. Forgive me for any grammar or spelling errors, I usually proofread and revise my posts 30 times before publishing, but I know a lot of you have been waiting a long time for this. Like the Nada Surf song, the AVIC-8200NEX is a bit of a catch and when it comes to the choosing the best double din navigation, it is never last picked. The nice thing about the AVIC-8200NEX is the operating platform has been around for a couple years so it is a proven, reliable system. Alpine and Kenwood on the other hand just unveiled brand new operating systems for their units so I’m sure we will see a quirk or two reveal itself over the next coming months. I find the user interface of the Pioneer one of the easiest ones to use and personally one of the most pleasing to the eye, but hey, beauty is in the eye of the beholder. Best Double Din Navigation 2016 – Pioneer AVIC-8200NEX features a user friendly and intuitive interface. The theme colors and button colors can all be personalized to match your vehicle interior and preference. You can make it as colorful or as dull in appearance as you like. Pioneer uses Here Maps for their on board GPS navigation system. 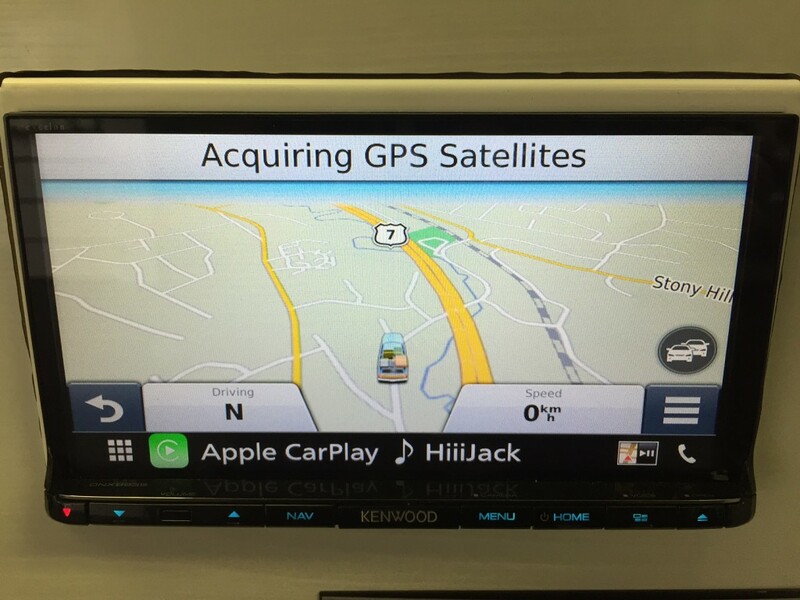 Compared to Kenwood’s Garmin navigation, you might find the roads to be skinny and the icons rather small. However, you could just as easily say the icons on the Garmin are too large and take up vital real estate on the 7″ screen. I’ve had 97% positive feedback from customers regarding the navigation, however I do have two complaints I think are worth noting. I had one customer find it maddening during a long trip from Maine to Connecticut that the system would not automatically re-route to the new route he had decided to take. He had taken the trip numerous times and knew of a couple routes/highways he could use. Although he allowed the system to pick the fastest route, he continued on another route that he knew. However, at every exit the Pioneer navigation (Here Maps) wanted him to get off the highway and get back onto the original route that had previously been calculated and selected. FYI, there is a way around this – you can select an alternative route from the navigation screen, but the navigation couldn’t figure it out on its own. I guess we’re so used to Google reading our minds all the time that we find it annoying when our electronics don’t, you know, just KNOW what we’re thinking. I had another customer tell me how it wanted them to go the wrong way down a one way street and additionally, it also seemed to think she lived on a one way street because it always wanted her to loop around the block to get to her home address (which was not on a one way street). One thing worth mentioning is the Pioneer features a latest maps guarantee which is a feature of Here Maps. You will notice these units come shipped with 2014 Maps, but it’s pretty easy to download the latest maps. Overall the Pioneer AVIC-8200NEX is a full featured and well rounded GPS navigation stereo that ticks off a lot of boxes for users. Aside from on board GPS, the AVIC-8200NEX also features Android Auto and Apple CarPlay. Best Double Din Navigation 2016 – Pioneer AVIC-8200NEX features a responsive glass capacitive touch screen. 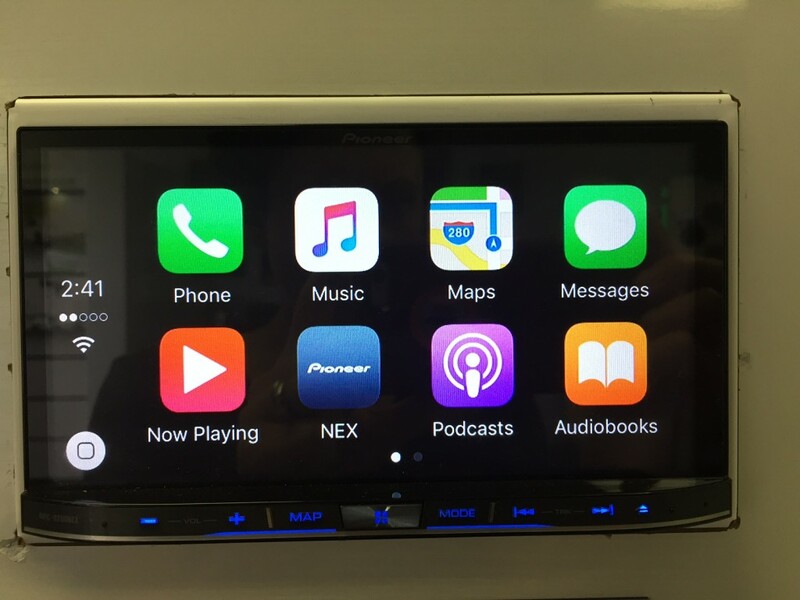 Overall, the Pioneer AVIC-8200NEX packs in most of the features consumers are looking for these days in a nice easy to use product at what I think is a fair price. I would say my customers think so too because they tend to gravitate towards Pioneer over Alpine or Kenwood (after seeing them in our showroom and checking them out in person). 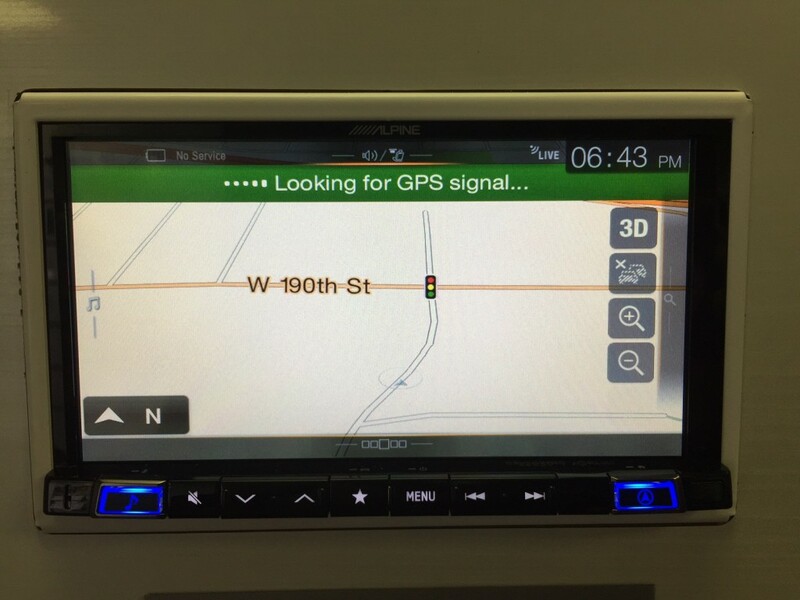 So where is the Pioneer AVIC-8200NEX lacking? There are only a few things that annoy me about this model. When it comes to Bluetooth, you cannot have more than one device connected at a time. You can have multiple devices paired, but only one connected at a time. Not ideal if you have a work phone and personal phone, but I would say this probably only effects a small percentage of people. The only other drawback is sound quality. When it comes to building a high fidelity car audio system, for the true audiophile, the sound quality could be better. It’s by no means, bad, but where Pioneer lacks, Kenwood prevails. Traditionally, Kenwood’s Excelon series head units have always been known for their superior sound quality and thankfully the DNX893s remains true to the Kenwood Excelon sound quality legacy. Best Double Din Navigation 2016 – Kenwood DNX893s settings memory recall! This might seem like such a minor detail, but it can save you time, hassle and a headache. Imagine spending an hour sitting in your car and setting the equalizer for each individual audio source, painstakingly taking the time to measure and set the time correction settings only to find all your hard work has been lost after bringing your car in for routine mechanical service. If the battery is disconnected, even for a short period of time, both Alpine and Pioneer will lose all audio settings. 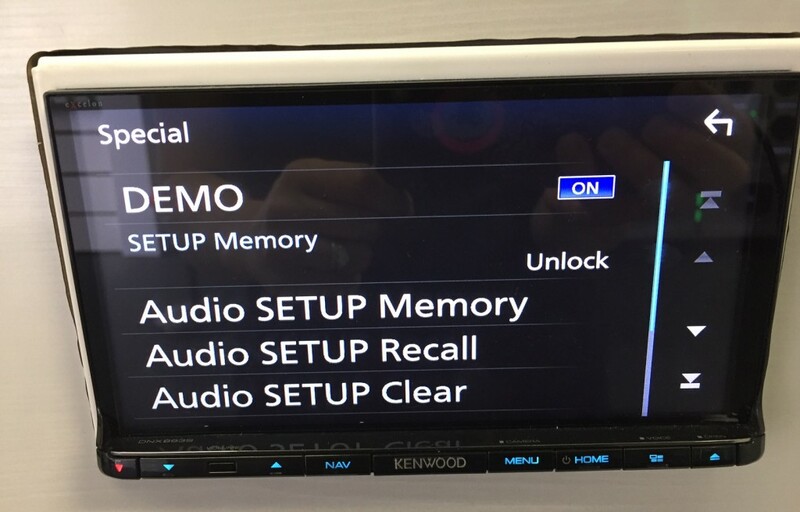 Kenwood has always had this recall feature for as long as I can remember. You can memorize all your hard work and save it and if you ever need to recall it, you simply hit the recall button. I absolutely LOVE this feature. If you go with Alpine or Pioneer, do yourself a favor and take a couple pictures of your audio settings so you can redo them if you ever lose them. Or just buy the Kenwood DNX893s and hit the recall button. 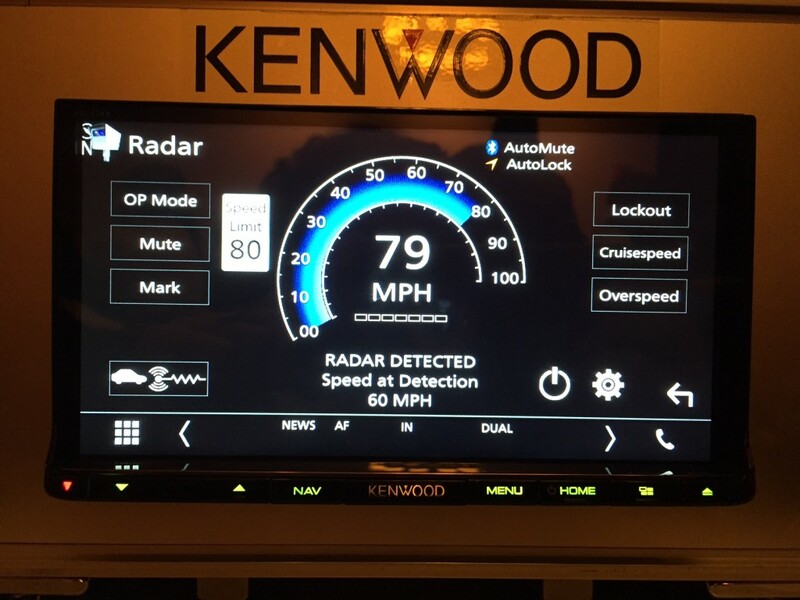 The user interface of Kenwood is all about big icons. 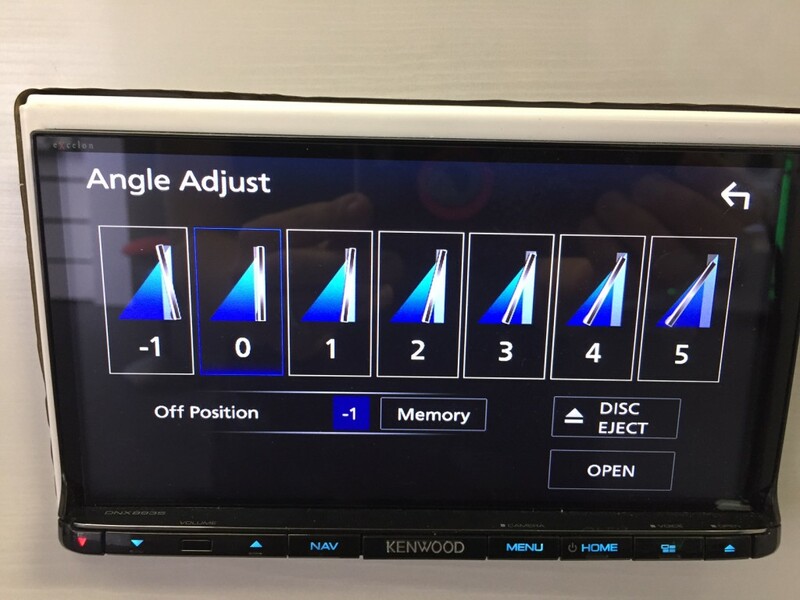 I think the engineers at Kenwood got tired of hearing me and other dealers complain about the small icons, small clock and difficult user interface. They decided to shut us all up with huge icons, huge text and an intuitive user interface. Cool. The icon on the top right is selectable as well – you could either display GPS directional info, bouncy EQ or the clock. What’s not cool about this screen? Well, if you don’t have anything playing with album art information, the top left icon will show a silly blue splash screen and I don’t think there’s a way to change it. Not that I’ve figured out anyways. Everyone has heard of Garmin. They debuted their first automotive GPS system, the Street Pilot, back in 1998 and they have become a household name in the years since. Some find the map layout to be a bit cartoonish, but for those of us that are past that age of, let’s call it having youthful eyesight, the larger icons are well received. Remember the client I mentioned with the Pioneer navigation that was telling her to loop around her block every time she wanted to go home? I eventually installed this unit instead and she has told the me the GPS has worked flawlessly for her. She found the maps a lot easier to see (she has a Jeep Wrangler by the way, so a convertible) and she found the actual navigation was more accurate. I will mention the unit comes shipped with 2015 maps and I did check to see if there was a free map update, but there isn’t. Speaking of convertibles and glare – have you ever heard of reverse tilt? Most 7″ touch screen navigation stereos have a motorized face that will allow you to tilt or angle the screen back. Kenwood is the only one I am aware of that offers reverse tilt. This is such an awesome feature. So many vehicle dashes these days have an angle to them that really places the vehicle stereo screen in just the worst angle for sun glare. The reverse tilt feature really helps to cut down on that tremendously. I think because of that feature alone, this would be the navigation radio I would encourage all my Jeep Wrangler customers to purchase. There are a few other really stand out features of this unit worth mentioning. All of these units are iDatalink Maestro compatible, however the DNX893s features some advanced integration such as the soon to be released K40 radar detector integration on screen. Additionally, I was blown away by how good the FM/AM reception is on this head unit. When installing it on my sound board I noticed a ferrite bead on the antenna connection cable. I don’t know if they did anything other than that to improve it, but seriously, I have been blown away by the stations this thing pulls in in cars that don’t usually have great reception to begin with (Jeep Wrangler for one and Mercury Mountaineer for another example). Okay, now for the surprising and the irritating – no remote control included. Oh and no paper owner’s manual. I was pretty shocked, I really thought the units I got shipped were missing parts. I mean for a $1300 stereo, you would think it would include a remote control or at least a paper manual. And as for the dual USB inputs, I think the second one is kind of worthless. Notice one is labeled iPod/iPhone? That’s your main USB input. Aside from an iPod or iPhone, you would also connect Android Auto to that USB port. 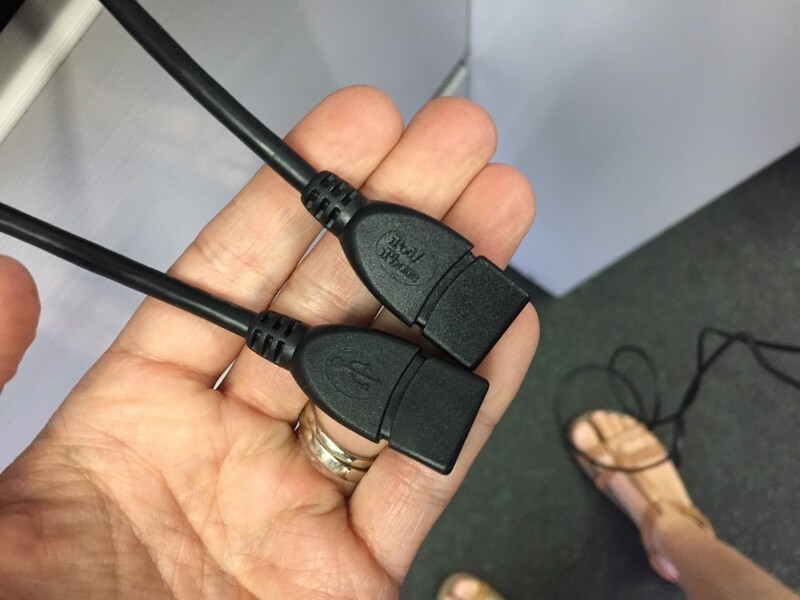 So what can you do with USB 2? Well, you can’t connect an iPod to it, that’s for sure. You’ll get an error on the screen. When I think back on the Kenwood training, I’m pretty sure they said that second USB input would be for like a memory stick with music on it. So that’s kind of annoying if you’re the kind of person that likes to be able to use their cell phone (either Apple CarPlay or Android Auto) and also have an iPod connected to a secondary USB as a back up music source. My husband John and I do this in our Jeep because we often go into areas of Connecticut without cell service on our Sunday drives and it’s just nice to be able to switch your source on the stereo rather than having to try and disconnect your phone while you’re driving and connect your iPod instead. Just sayin, they could have made it play an iPod. Oh, Alpine – why do we have such a love hate relationship? I love Alpine’s ease of use and their sleek OEM appearance. I love that you can eliminate redundant or unused sources from your source screen. Sometimes all you want to see is all that is available! I even love the easy to use swiping menus which you can view in this quick video I made for a customer of an X109-WRA in a Jeep Wrangler. I hate that it feels like you’re really not getting a lot for your money. For a $1500 navigation Bluetooth radio, you would think it would at least come with a CD/DVD player or maybe Apple CarPlay or Android Auto (no, it doesn’t). But wait, there’s more. 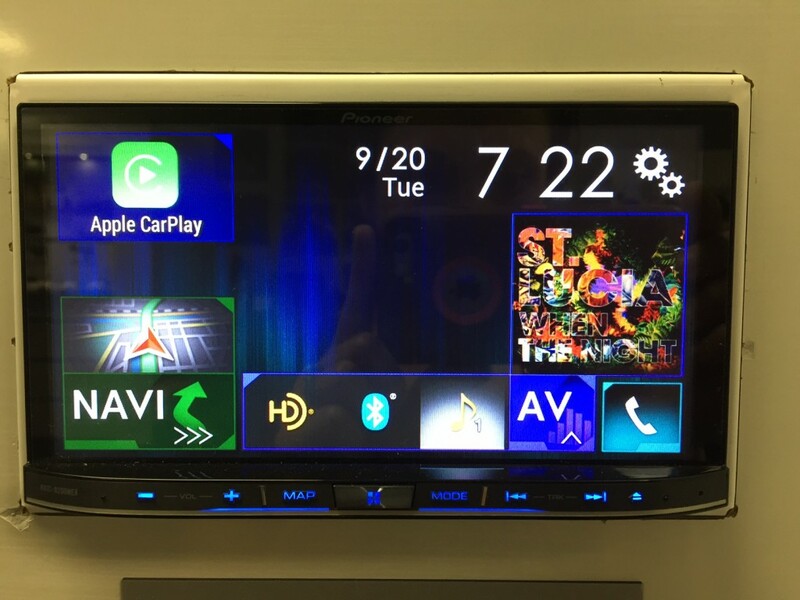 If you can get past the high price, the lack of Android Auto, Apple CarPlay, CD/DVD Player and updated Canadian Maps you might really enjoy some of the cooler aspects of the Alpine INE-W967HD. One thing I found pretty neat is the built in microphone for the Bluetooth. It actually works quite well and that’s one less thing you have to worry about wiring and mounting. Another feature, pointed out to me by one of my well informed customers (Thanks Ryan! ), is the parametric EQ. While Kenwood and Pioneer feature a graphic equalizer, Alpine has a parametric EQ which allows you to adjust the center point of the frequency you’re adjusting and the width of the frequency (also known as Q factor). Additionally, you still have basic audio adjustments like bass and treble under Tone Adjustment which is accessible with a quick swipe down on the top of the screen. 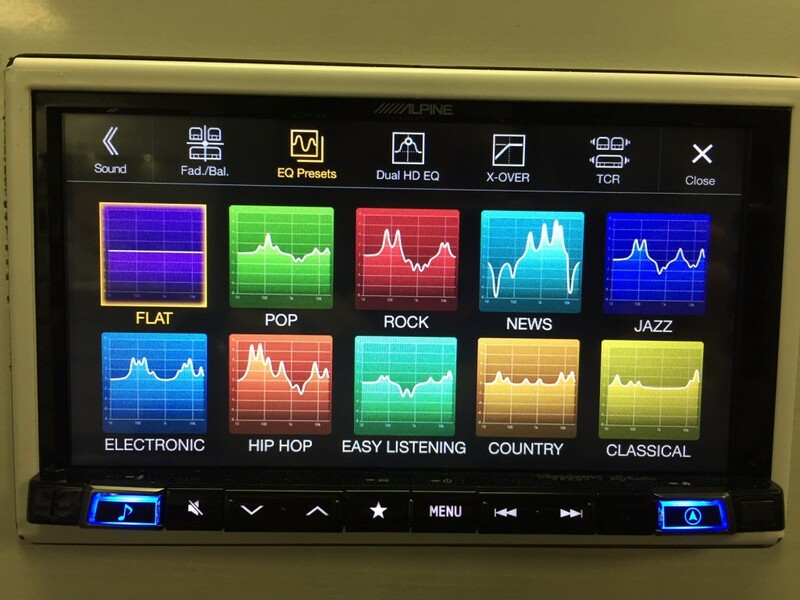 Best Double Din Navigation 2016 – Alpine INE-W967HD easy bass and treble adjustment. The screen itself is very responsive and intuitive. Kudos to Alpine on that. They call it a capacitive touch screen, but it does not have a glass finish like Pioneer or Kenwood does. In fact, that may be better in high glare situations. I haven’t installed enough to really see the difference in bright sunlight, but I imagine there would be less reflection. I find the overall appearance and graphics to be less flashy than Pioneer and Kenwood and more OEM which really makes it look like it belongs in a vehicle, rather than appearing like an aftermarket product. When it comes to sound quality, we have found that the built in Alpine amplifiers tend to sound bright and harsh when compared to Pioneer or Kenwood. However, when using an external amplifier, most of that tininess and harshness disappears. Interestingly enough, Alpine also happens to make what we think are some of the best sounding amps out there – their PDX series is our favorite. Yet even with an external amp, it is worth noting the Kenwood DNX893s has a more natural, smoother tone to it. So who wins Best Double Din Navigation 2016? I would have to declare Kenwood’s DNX893s the winner based on sound quality, GPS performance and bonus features like reverse tilt, memory recall and improved FM/AM reception. It’s a great balance of features at what I think is a fair price. 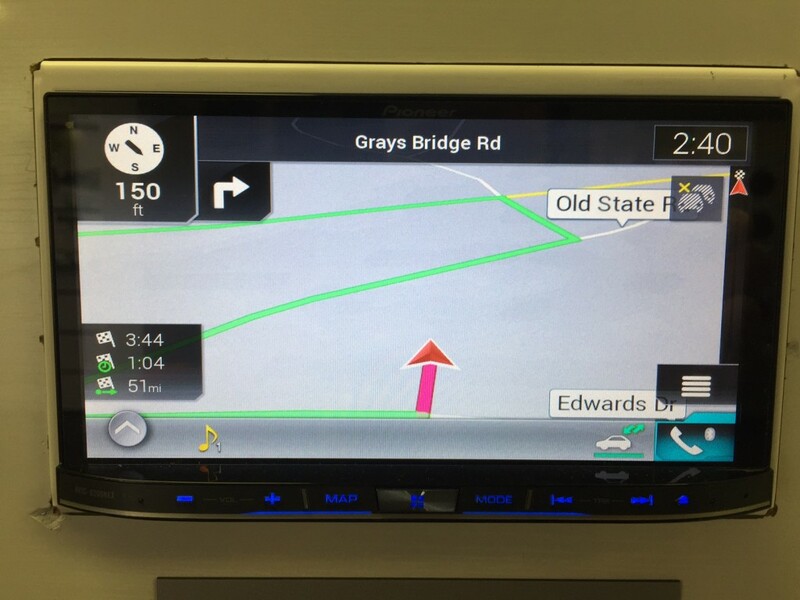 However, determining which navigation system is right for you depends on what features are most important to you and what kind of user interface is most attractive to you. For a minimalistic, OEM appearance, you may have to cough up a few bucks and give up a few features and go with the Alpine INE-W967HD. If you prefer a less cartoonish navigation than Garmin, but you still want Android Auto and Apple CarPlay, then you should consider the Pioneer AVIC-8200NEX. They all have their pros and cons and I hope this in depth review has helped you select the right one for your particular tastes and needs. Thanks for reading! That’s funny regarding the “dust in the screen”.. no one has seem to run into this issue, however I am on my 2nd DDX9903S due to the “non-issue”, and unfortunately I have to ship it back to Kenwood now – at my own expense. Since they tell me it will take 3-6 weeks, I’ll probably just replace it — with something other than a Kenwood this time. Hi Harry – I’m curious are you in a similar situation as Bruce? Mostly traveling dirt roads and also in a Jeep Wrangler? Just trying to see what the common factor might be since this not something I have seen at our shop. We service customers from Litchfield and Fairfield county in Connecticut and Dutchess and Putnam county in New York. Both have some dirt roads in the quieter smaller towns, but largely our customers are traveling on paved roads. I enjoyed reading your reviews on these head units. I am using the review for the Alpine and Pioneer units, already have the Kenwood. I am a Garmin fan, but over the last couple of years, Garmin doesn’t seem to navigate as well as it use to. On a known route from my home town to Albuquerque my DNX893s will try to take me off the main road (HWY84) on to a side road (SR112) to another main road (HWY550), which will take longer. After passing a point where the system says a u-turn is no longer need, it will drop 15mins off the original estimate. I use Garmin on the DNX893s, a Nuvi and Apple maps and see very little difference, also had Garmin in my Jeep JK. I have had problems with the DNX893s, like freezing up when trying to connect to Car Play, and a couple of other random times, but a restart of the unit seems to fix these problem. But the question I would like to ask here is, have you had any problems with dust behind the main screen? My DNX893s was getting so bad that it was getting hard to see the information in the corners during certain light. Unit has been cleaned by Kenwood, but I was told to expect it to continue happening because of where I live and roads I drive on. The unit is 1 year old this week and I just can’t see having to pull the unit and get it cleaned every year. Kenwood and their repair shop is telling me that it is the only answer to my problem, did I get a bad unit or is there a better unit for me out there? Hi Bruce, I’ve sold quite a few of these and have not run into this issue about dust and the screen. And a few of them were to Jeep Wrangler owners so I would think if that was “normal” I would have seen these customers back here for that issue and I haven’t. Perhaps that’s because of the fact that in this part of the country (Connecticut), we typically only have our tops off/doors off a few months out of the year and most of the roads around here are paved. I imagine in Albuquerque you get more time with the top off and if you drive on a lot of dirt roads you would also have more exposure to dust. I guess I just don’t have enough experience with that kind of situation to tell you if one brand would be better over another. I imagine if it’s an issue with the Kenwood it would be an issue with any brand, they all have very similar screen design/technology. Have you talked to any eXcelon dealers in your area about this? They would probably have better hands on experience in your neck of the woods with that issue. The connectivity issue with the iPhone, I have seen that with various CarPlay stereos and it’s usually something stupid like a bad USB to lightning cable or just needing to restart the phone every once in a while. I hope that’s helpful. I’m sorry to hear about the dust issue, but that is helpful feedback for me since I haven’t seen/run into around here. I’d be curious to hear what local shops in your area have to say about that issue. I am looking at the Kenwood and have a few questions. First, is there a way to view the backup camera without the reverse. Like if I want to see how close the car is behind me while I am driving forward? Second, how do you switch to the front camera? I get nervous parking my BMW because I cannot see the nose of it. Third, I have a teenager. If my son wants to watch a DVD while we are traveling, can he? On most stereos there is a safety issue but you can wire around it by grounding out the power source or installing a relay. How would this work on the Kenwood? You can press and hold the Menu button the screen to get a shortcut to the reverse camera input. I’m actually not positive how the front camera input is activated, haven’t done one with it. I’m pretty sure you can select which camera you want to show up on that shortcut, so more than likely that’s how you’d activate the front camera, but then you’d probably have to go into the settings and change which camera if you wanted to activate the rear one while in drive. Parking brake bypass is commonly known for Kenwood’s (I’ll let you google that) which if done theoretically would allow you to watch DVD’s in motion. Thanks for the great review! I’m getting ready to buy either the Pioneer or Kenwood for a Sprinter RV that Sportsmobile is building for me, so it’s very timely. Sportsmobile uses a licensed dealer for their audio systems, Custom Sounds in Austin, with an installer I’ve been working with who specializes in Class B RVs, Matt Graef. I’m leaning toward the Kenwood for it’s better sound and nav system. Both have an issue for me that I wonder if you can comment on. The Pioneer appears to require a Windows PC (MacOS not supported) for Here Maps updates. I don’t own a Windows PC. The Kenwood seems to rely on the INRIX app through a phone, versus the free, radio based Clear Channel total traffic. To me, one of the reasons for having the car based nav systems in the first place is to be able to navigate without a cellular signal. Hi Ray, yeah you are correct about all that, it’s a tradeoff – unfortunately you have it simply weigh the options based on what features are most important to you. About the nav that “wanted her to loop around the block”, it may be to avoid making a left turn. It may be configurable. Podcasting isn’t mentioned. Not something your customers want? For me it’s a must-have for solo commuting. 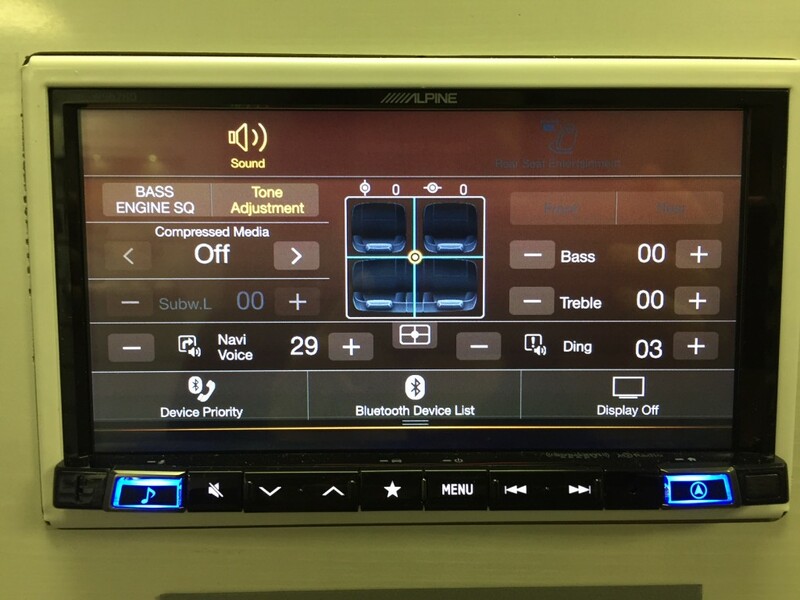 Some Head Units (HUs) have a built-in equalizer program that you run post-installation. It measures sample output with a mic and sets the EQ according to the acoustics of the car. Do these HUs have that and is it any good? You write that the sound on these units is “audiophile” quality, but would that require audiophile speakers? Would the quality be wasted on your average OEM speakers? Same kind of question for highly-compressed music e.g. streams. I thought radar detectors didn’t work anymore because of interference from adaptive cruise radars on new cars? In Quebec it’s a $650 fine and confiscation. But I guess you can’t go to Canada because you don’t have a map on your Alpine And police are getting LIDAR that acquires a target speed in just 0.3s. The HU remote control seems like a solution for a problem I don’t have. I think they’re cheap to do so the manufacturers throw them in. Regarding the hard copy manual, I for one would rather they let folks print their own and take the cost off the price. You can’t grep a dead tree. Same with optical discs. The IT industry has left them behind, and I think it speaks to the conservatism of the A/V industry in general, and the car hifi industry in particular, that CDs are still a thing. Just sayin’. And long live AM radio! 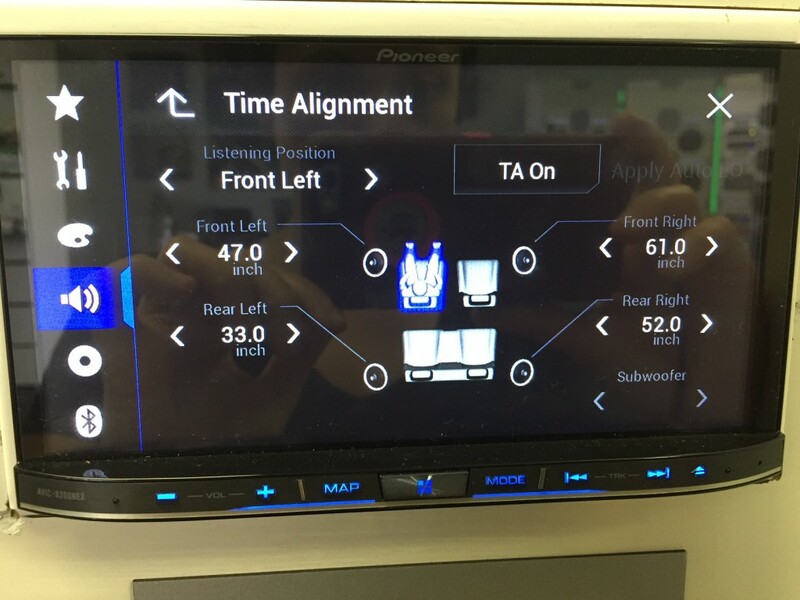 No auto-reroute on the Pioneer would be a show-stopper for me. Maybe configurable? Not being able to load both Canada and USA on the Alpine is a pretty shocking oversight. Most folks who cross the Canada/US border won’t have data roaming on the other side and that’s when they need offline data most. I get that this article is about top-of-the-line HUs, but it’s worth saying that non-audiophiles might be better off spending the same money on a cheaper HU plus a Garmin, with plenty of cash left over for the data plan. 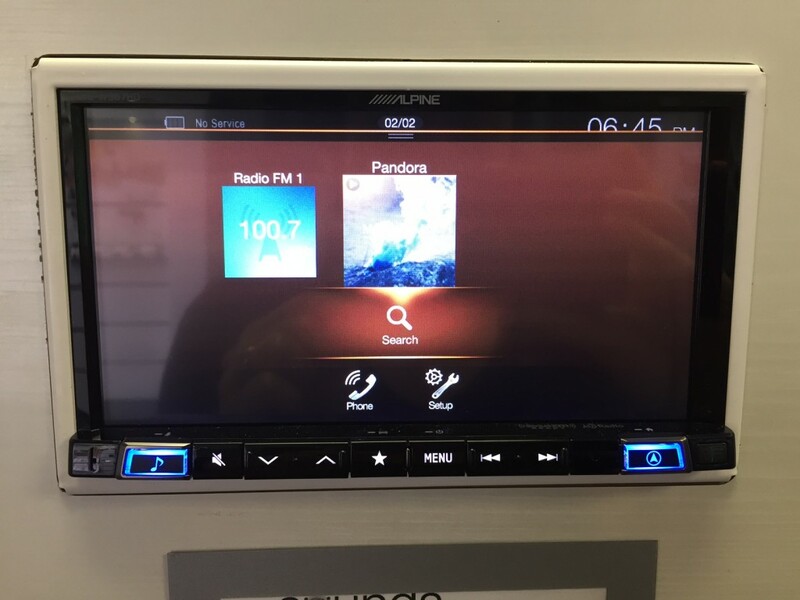 The Pioneer AppRadio 4 (or the Alpine ILX-007) is still relatively decent after what, two years, and it’s over 600$ cheaper than the AVIC-8200NEX. I’d be very hesitant to buy such an expensive piece of hardware that locks me into one nav system … which might eventually stop updating for free. I never rely on a single system anyway for long trips into the unknown. I’ll use a Garmin, to save smartphone data and battery while verifying occasionally with a smart phone. Google Maps/Waze have more up-to-date maps and better traffic info, but they trash your battery/data. Another system is Carplay + Apple Maps + Siri which gives a good hands-free experience with a tethered and charging phone. Sorry about the long post, I didn’t have time to write a short one. Keep up the good work! Lol – your last sentence made me laugh, that’s how I write too, it’s easier for me to just get it all out than to try and organize into short and simple formats. Interesting note about the radar, K40 and Valentine actually have a filter to eliminate the false alerts that come with those adaptive cruise control vehicles, so yeah, we still sell lots of installed radar detectors down here. Thanks for the comment! On the Kenwood website, they list “Dual Phone Connection” as a feature for the DNX893S — but the second USB port doesn’t accept a phone? Separate question, what is the closest equivalent in the Kenwood line without NAV? Yes, that’s correct it will support two bluetooth handsfree devices at once, only one device for Bluetooth audio and only one device through the main USB port which is labeled iPhone/iPod, but Android connects there as well. The non navigation equivilant would be the DDX9903s – however, that model does not have the reverse screen tilt option, only this model does and off the top of my head I think that model only has one USB port. 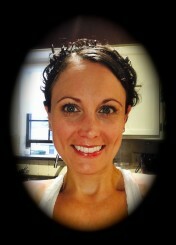 Annie, Great write up! Thanks for taking the time out of your very busy schedule to put this information out there. 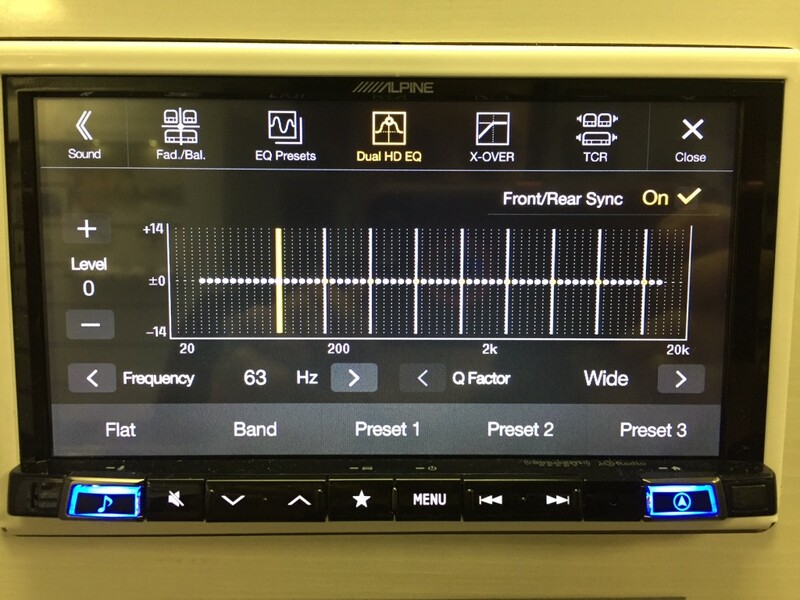 I would like to add a note on the Alpine: There is an option to have separate 9 band parametric equalizers on both front and rear channels with 3 user settable presets available for each. This is useful in tuning for differences in the frequency responses between the speakers you have connected to the front & rear outputs. So in essence, the Alpine, provides 18 bands of parametric equalization in addition to the standard “on the fly” bass/treble controls. This allow you to set the parametric EQs up to smooth out the overall frequency response of your vehicle once and then use the bass & treble controls on a per song basis as you see fit. Not to mention that the entire audible frequency spectrum, in 1/3 octave steps, is available as parametric equalizer center frequencies. I feel that if “tuning ability” is at the top of your list then the Alpine would provide the most satisfaction. That said, one would need some sort of frequency response measuring tool (stand alone RTA, smart phone app, or pc RTA program) in order to precisely utilize the Alpine’s ability to tune. Yeah, Steven, they do weird stuff like that where they’ll build in nicer features sometimes on the single din head units like memory recall or 3-way crossover option, but for whatever reason they’ll nix it on the higher end models. I know you can preset two EQ settings in the NEX line, but if you lose constant power to the head unit it loses that information.